Hot off the thermal press at CINCOZ's Ob/Gyn appointment: a profile of Annasophia-to-be! 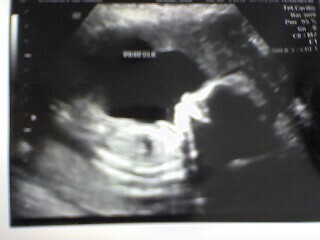 Our little M&M, Princess of Oz (who will be the most spoiled child in the history of the world) is weighing in at 13 oz. Less than 20 weeks to the due date. Pray for a cool summer!